I especially like winter season! Winter is when you can wear whatever you want, such as flannels, sweaters, jacket, and denim. 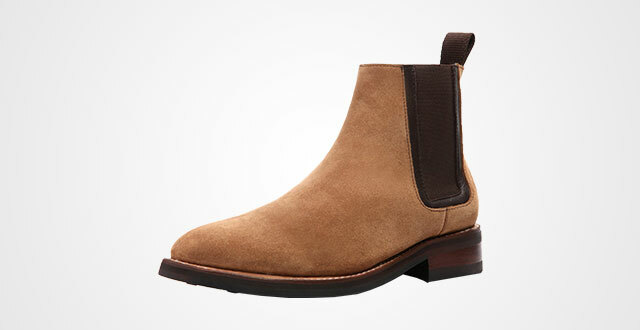 But overall, an essential piece that is characterized winter is the best mens Chelsea boots. In this article, I will do a combination of review, cop and drop, how to style and how to choose the right pair. Let’s get straight into it. 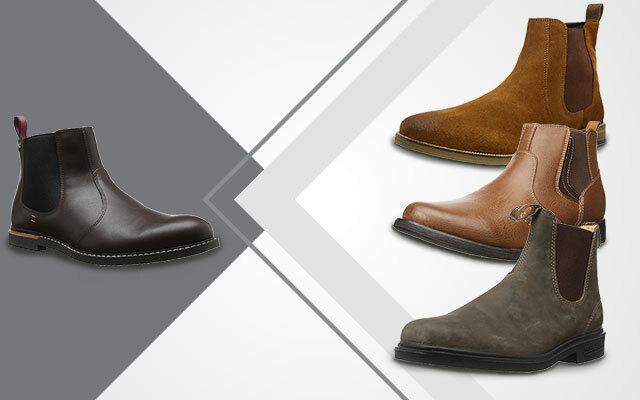 Chelsea boots particularly focus on material, design elements and construction. I’m not saying that you cannot buy brands such as H&M, asos, Topman, Urban Outfitters because they do make very decent Chelsea Boots. But, keep in mind that you will not get the most out of the Chelsea Boots. For example, when you wear them on for a while, they might hurt your feet and ankles. After a couple of times of wearing, you will notice a lost of form and shape. I’d like to think the best mens Chelsea Boots are an investment piece. It means that it can hold up at least a couple of years, especially in trend. The very classic Chelsea Boots are made out of leather. The silhouette has been around for many years but, the Beatles has popularized it and made them more famous. Very recent, you can see many celebrities such as Kayne West, Harry Style, Scott Disick and some others also make the boots very trendy. If you do decide to go with a suede, it will take a little bit of effort into maintaining and keeping them as they wear and tear faster than, especially in harsh climates and environments. As I mentioned in the first feature, the material on the side panel of the boots is very important as it plays a big role when choosing a pair of Chelsea Boots. The panel is actually what’s holding the boots upwards and when you put the boots on, a good quality panel will have that stretching material so you can easily put your feet in. When choosing a Chelsea boots, let’s opt for the one going along with 3-4 years that will still be very fashionable and holding up. There are many different brands that add some of the very nice details in the boots such as chain or ring, maybe a long strap and buckles. Those styles of boots will be very trendy. Unfortunately, they might run out of style in a couple of seasons then, you will probably just put them away. Those are my three tips on choosing the best mens Chelsea Boots. I will go ahead and review my own pairs of Chelsea which I’ve copped. I’m very excited to review this pair of Boots to you. 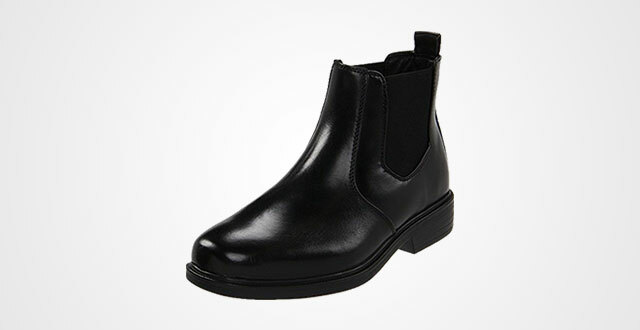 Bruno Marc is the very first Chelsea boots which I have chosen. 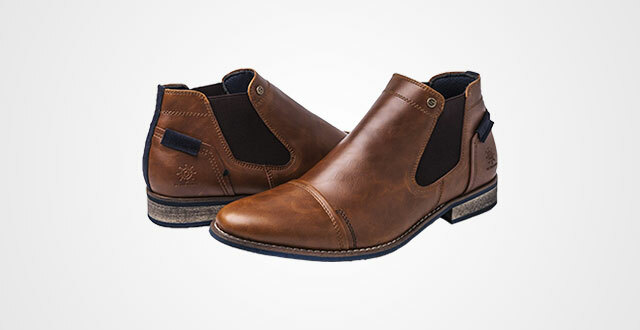 It is a pair of brown Chelsea boots made out of manmade material. This is also a pair that I personally think is really nice, suitable, very classic and elegant. First of all, the neck of the boots is a little taller than the other ones. At the spine of the boots, there is very smooth, shiny and soft leather material. At the very first glance, it seems that there is no brand name or logo on the shoes, but going inside, in the cushioning, you can see the words “Bruno Marc”. The toe box is different from boots of brands like Bottega Veneta, Saint Laurent and Common Projects because it is more rounded than the others, thus, making it feel less formal than pointy toe box. There is also a curved line in the front foot, which is nice as well as various tiny holes around the shoes. It is the feature that I really like because it just compliments the boots and doesn’t look plain and boring as those UGG boots. Another detail about the outsole of these boots are that they are made out of durable rubber. And a special thing is that the upper and the outsole is stitched together, making the shoes more durable and sturdier than those glue and stick shoes. Like many ordinary Chelsea boots, this Bruno Marc has stretching panels on both sides so that you can easily slip on and off. The material of these panels is quite good and high-quality as after a year wearing, it’s hardly getting wear and tear. Very impressive! There’s just one con about this boot is its manmade material not as soft as suede or as durable as leather so that if you wear the shoes for a long walking day, your feet will get a little bit painful. However, as its price is affordable and as a basic rule of thumb, you get what you paid for, it’s worth a try. My advice for this is that you can choose thicker socks to get extra comfort. 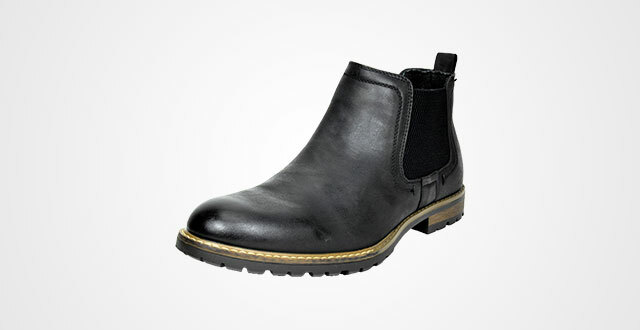 Another pair of Chelsea boot coming from Bruno Marc, black Chelsea boots that is again, made out of manmade material. Thus, you can understand that it won’t be as soft and comfortable as suede or leather. 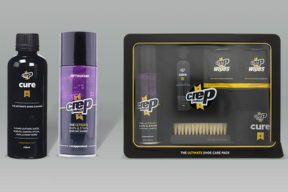 However, in turns, this kind of material helps a lot to cut off the cost to give you a very affordable price. Another similarity is its outsole is stitched to the upper, making durable and solid feeling. On one side, there is a mesh panel to help you easily slip on and off the shoes. Its material is very qualitied that after a long time using, it doesn’t get loose or lose its form at all. For those short guys, this pair of shoes will help you hack your height up to roughly 1 inch thanks to the heels. On the other hands, choose from 10 different designs, chances you will meet at least one of them to be the next best item in your wardrobe. But kindly take notice that, each version will come in different colorway and design as well. 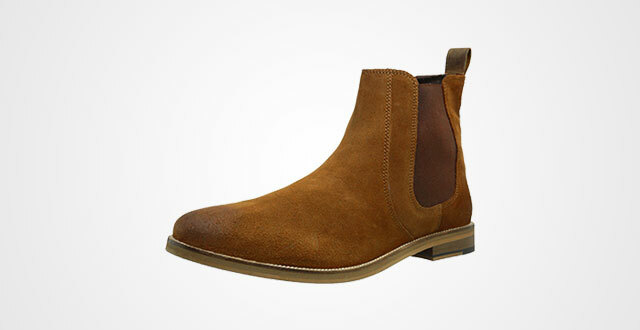 If suede leather is your taste, then look no further than this pair of Chelsea boots from Crevo. This is a brand that I really want to recommend to you so far as their products are a great compromise of designs and functions. For example, though its suede texture will obviously be easier to get dirty as well as require more careful maintenance, in turns, it adds a luxurious and character look to your outlook. Not saying that its simple and elegant design will easily style with different outfits. 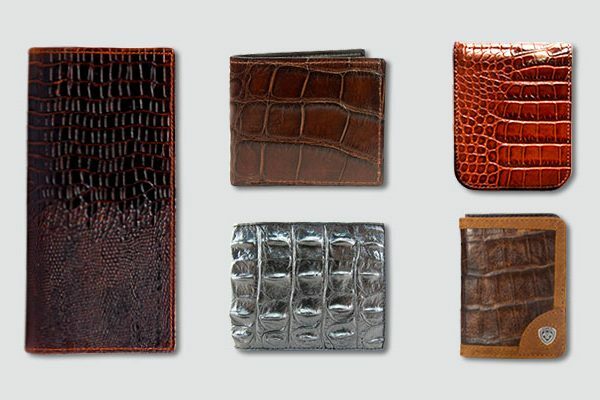 Other than classic chestnut, there are 2 more colorways to choose, including black and brown. Besides, don’t worry if you have little bigger ankles than usual, this boot can open roughly 10.25″ around in addition to its high-quality mesh panel on one side. On the other hand, its Burnished-toe will be an impressive and exquisite emphasis. In terms of the outsole, differ from the Bruno Marc, Crevo comes in plain outsole but don’t worry it’s designed solidly with non-slip ability. For the best pair of little dressy Chelsea boots, you won’t go wrong with this Global Win. Just look at them! I personally like the stitching even though some people said that this design was just for cutting off the cost, I find that this makes the shoes even more masculine and stylized to be a sophisticated emphasis. Not saying that, its small, elegant brand logo compliments with its smooth synthetic leather and the lightly waxy treatment to deliver a luxury look. If taking a look from upside down, you will find that its upper is a little sharper for more formal look. This is a perfect pair of Chelsea boots to style with suits to attend some important events like business appointments, meeting your partners, job interviewing, etc. Again, elastic panel on one side for easily slipping on and off as well as 1-inch heels to create an exquisite look and increase your height. My next recommendation is this Giorgio. I see a lot of people wondering about its material, actually it is made out of synthetic leather as when I opened the shoe box, I don’t find any distinct smell of genuine leather. But to be honest, its texture is very soft as well as there is inner padded lining for extra softness so that I don’t find this is a matter at all. There’s just one thing I want to notice you is its weigh. The shoes are very lightweight that you will easily find in midweight leather typical of any dress shoe. Thus, if you want to go lighter, look no further than this pair. And to make it shiny and dressy, you can polish it after the first and second time wearing to maintain its outlook. Another thing is its finger pull loop which is a little bigger than the images so that you can easily put your finger in to pull the shoe up. And if you are curious about its size, this pair comes in a bit longer in its upper portion but again, I like this European look and also don’t find any discomfort while walking. 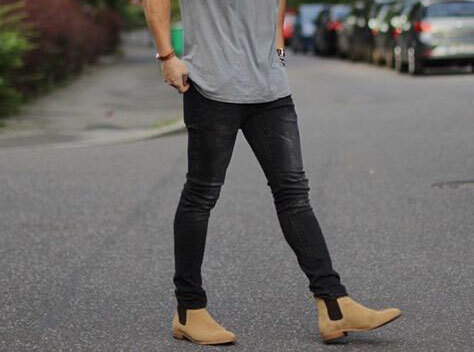 A go-to pair of Chelsea boots! 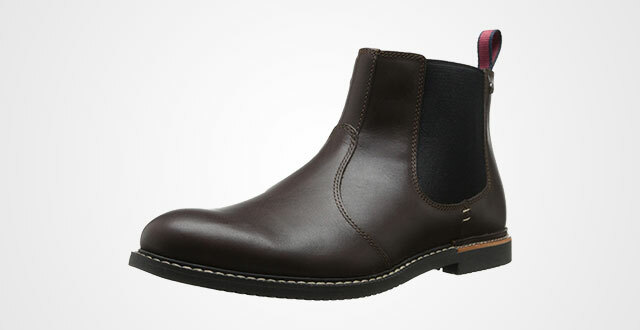 For a high-quality Chelsea Boot, you can’t ever go wrong with Blundstone. 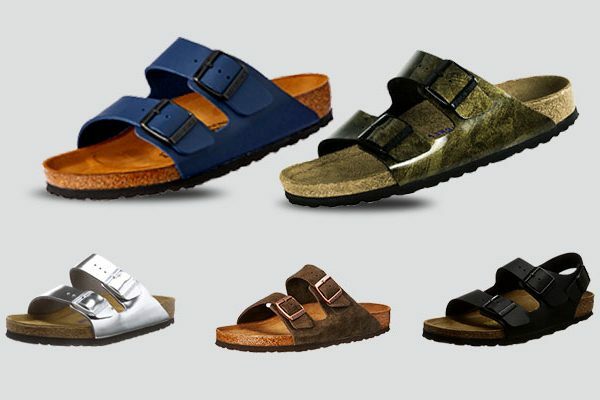 They are made out of 100 percent high-quality genuine leather that builds to last. And in fact, you can even wear them for decades with really less wears and tears. Instead, it will get more and more personal marks and stains to make it look grungier, more character and bring up a soul. I particularly like its chisel toe because with this elegant emphasis, you can mix with different outfits to either dress up or down. In terms of its outlook, the whole shoe is designed plainly with solid color, but it’s not the way too boring thanks to dual finger pull loop and small embossed logo on its outsole. There’s just one thing I want you to take notice is its size. As Blundstone is an Australia-based company, which means their products’ sizes are based on Australian standard. If you want to go true size, I highly advise you to subtract one size down. For example, my US shoe size is 6, I should choose an Australian 5 to have the best fit. Another thing is that as this is made from genuine leather, it will need some times to break in, usually a couple of weeks and also remember to let it breath usually to fade out the leather odor as quickly as possible unless you don’t find it unpleasant. 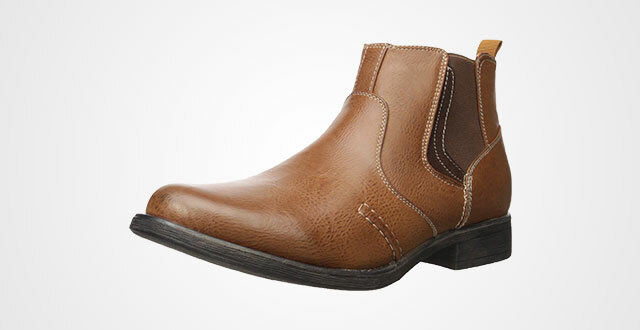 Move on to this handsome Timberland’s Chelsea boot. A great, great thing about this pair is that it doesn’t break-in require so that you won’t have to spend a couple of weeks with unpleasant feeling on your feet. It fits nicely to ours as well as brings up superb comfort to enable to walk a long day. In other words, they are exceptional. Other than this benefit, its outlook is very simple yet not too plain to get bored. There are some stylized stitching feat contrast seams on the outsole as well as the quality panel on one side and a finger pull loop. Also, don’t worry about if you have big ankles as this pair can open maximumly up to 12 inches so that you can easily slip your feet on and off. For those who are wondering about its heels, they measure roughly 0.75 inch. If you want some extra padded for hacking height, I highly recommend you to level 1 size up for the best fit. This pair comes in 4 colorways: black smooth, red/brown smooth, brown smooth and black. 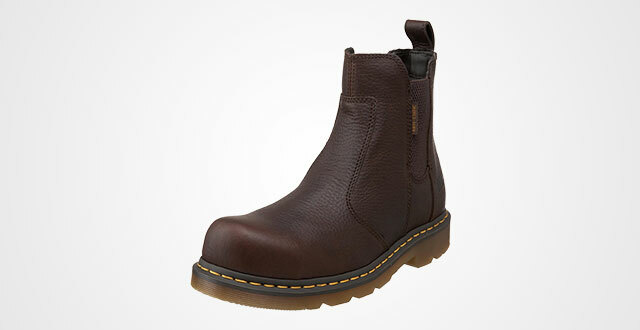 If you need some safety shoes to afford your job, look no further than this Dr. Martens. The pair is 7 inches high, which is a little higher compared to the other shoes. Actually, it’s over our ankles so that it can provide full security to our feet. 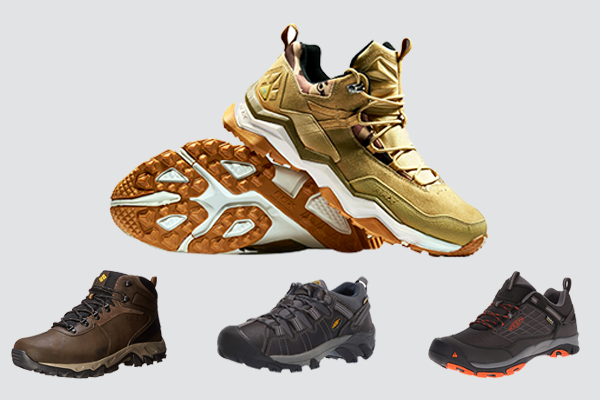 Not saying that there is metal toe box and thick genuine leather for sturdy, durable and comfortable feeling to wear. You can style it with different outfits, from formal to casual based on its simple and elegant outlook. In terms of size, I highly recommend you to order your Euro size to have the best fit. Besides, the sole is very thick and slippery-resistant designed to give a great fraction on both steel decking and concrete. On the other hand, its special design of the sole sticking out roughly 1-inch from its upper helps to minimize damages to your shoes when you accidentally kick something. 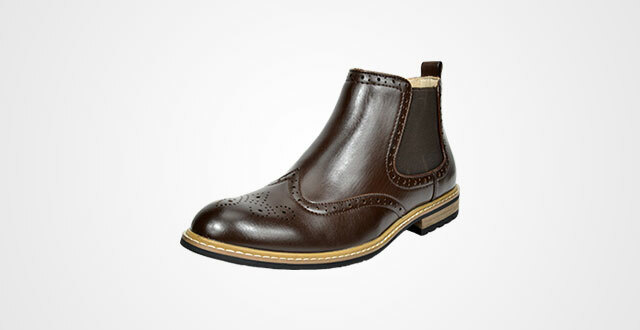 For a luxurious and dressy look, you can’t go wrong with a pair of Thursday Boot Company. 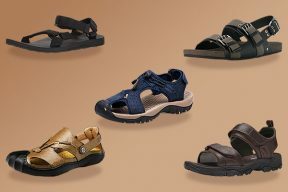 This model comes up with two kinds of leather: suede with honey colorway and plain genuine leather with lightly waxed treatment that includes two tones: black and brown. Thus, if you want a dressy Chelsea boot only, pick the black or brown. On the contrary, the honey suede pair will deliver a more casual and stylish look to style nicely with both your casual and formal outfits. If taking a closer look, you will find that its outsole is sturdily stitched to the upper, which makes the shoe more durable and longevity. Talking about Thursday Boot Company, I must remind to their striking comfort. It’s comfortable enough to utilize as an athletic shoe. It’s no joke! Actually, many guys bought it to wear as athletic shoes, and if you are that one, I highly recommend you to go one size down for the best fit. Other than comfort, this shoe is also waterproof thanks to the proprietary WeatherSafe (TM) Suede. To be honest, this is a special material blending a solution of hydrophobic and waterproof compounds during the tanning process. 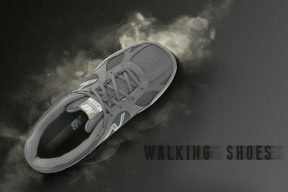 With this feature, you can feel ease in mind when walking with it under rainfall. 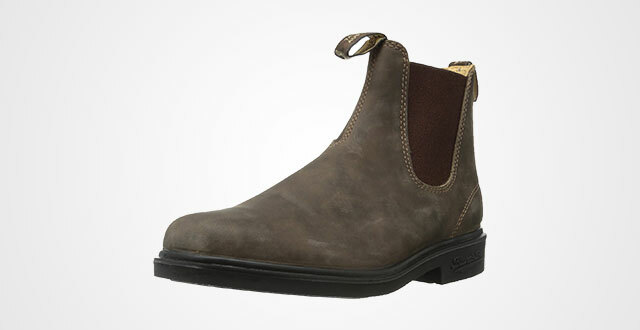 Last but not least, Madden Chelsea Boot. They are one of the most comfortable boots that I’ve ever worn though they are made out Polyurethane material. I think if you are looking for a pair of Chelsea Boots to beat them up quite frequently, this is a go-to item. Compared to others, this boot comes in shorter height with just roughly 5 inches but still enables to cover our ankles for ultimate protection. 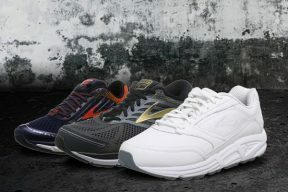 The shoe seems to hold up greatly and well-made with thick material, strong stitching and moderate lining on the insides. With this pair, you should go ½ size smaller for the best fit. Or if it’s even a little bit loose, don’t fret, just choose thicker socks or add extra padding to make a trick, it will be okay. Now, that’s the end of this article. I know that some of you might wonder why I only include those Chelsea boots with elastic panel instead of those going with chains or some other details. Well, actually I have already tried them, but I personally found that they are very inconvenient, especially when you slip your feet on and off. Besides, it’s not a Chelsea Boot at all. 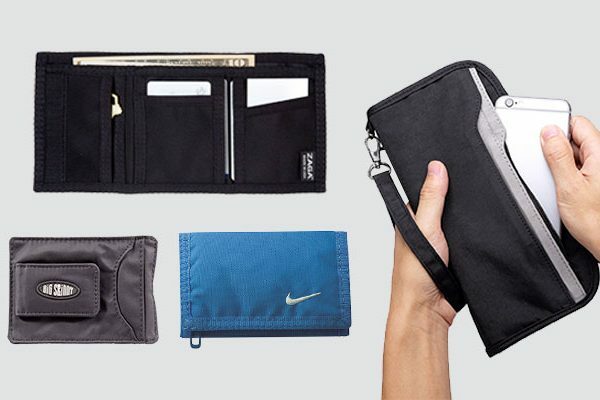 I’m a person who focuses more on function and practicality of a product and then its design. 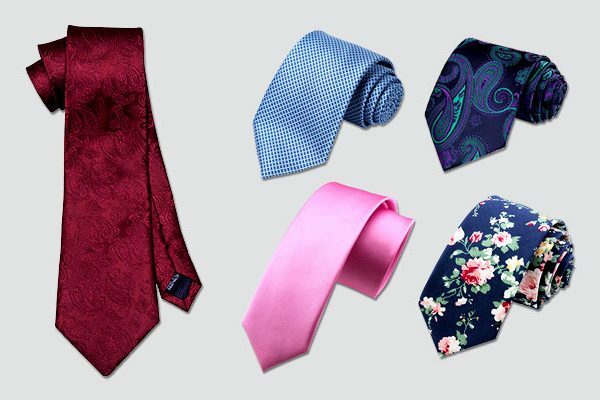 Thus, hope you understand as I just want to give you the best options to wear handsomely and comfortably.